The event consists of six hours of performances, installations, tours, workshops, and games by 15 artists drawn from Portland State University. 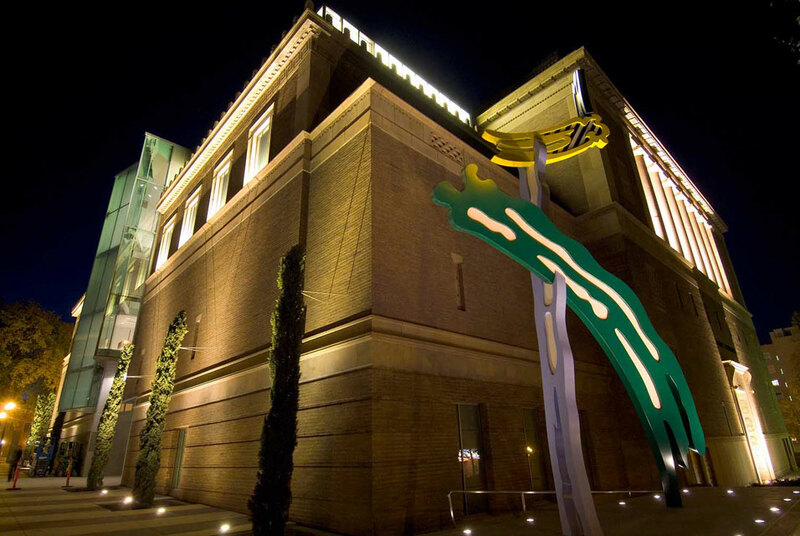 PORTLAND, OR.- For one night only, on Saturday, September 19 from 6 p.m.midnight, the Portland Art Museum hosts Shine a Light: A Night at the Museum. The event consists of six hours of performances, installations, tours, workshops, and games by 15 artists drawn from Portland State University s Art and Social Practice Program, led by Harrell Fletcher. The Northwest Film Center joins in by breaking out of the Whitsell Auditorium to present vintage and contemporary works in some surprise locations. The projects are centered on artist and audience participation and visitors are encouraged to experience the Museums spaces and collections in new ways. Projects and events take place inside and outside of the Museum. Outdoors in the sculpture court, local bands will play throughout the night and visitors can watch an expert dowser uncover the colors and sounds of works of art, see a demonstration of printmaking at a mobile print factory and sample specially made beer brewed by Lompoc, Laurelwood and Lucky Lab to complement objects in the Museum ' s collections. Inside, projects located throughout the Museum include Learn to Count in Mon, a project to save endangered languages, dancing displays, musicians serenading select works of art, Stranger Moments, a roving theatrical tour of the Museum employees interactions in the galleries with strangers, video instillations from the Northwest Film Center and much more. The full Shine a Light schedule will be available at www.portlandartmuseum.org on August 27. Turning the sculpture courtyard into a concert stage, and the galleries into spaces for experiments in participation will help to shift peoples ideas about art and how they see themselves in the Museum, said Christina Olsen, Director of Education and Public Programs at the Portland Art Museum. Portland Art Museum Opens Exhibition with Works that Leave Many "Disquieted"